To simplify the AJAX requests, we will be using the JQuery library. Note that if you are using the Twitter CSS Bootstrap toolkit then JQuery will already be added in. Otherwise, download the latest version of JQuery and include it within your application (see Chapter ..). 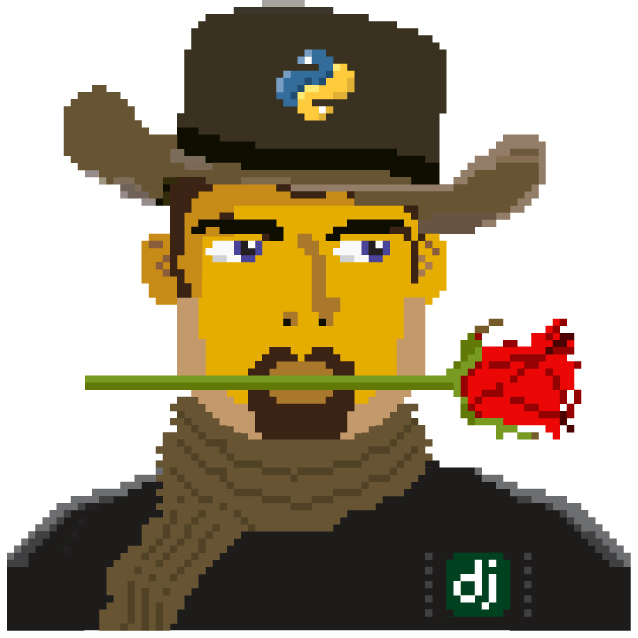 Now that the pre-reqs for using JQuery are in place we can use it to pimp the rango application. It would be nice to let user, who are registered, denote that they “like” a particular category. In the following workflow, we will let users “like” categories, but we will not be keeping track of what categories they have “liked”, we’ll be trusting them not to click the like button multiple times. Add in a “Like” button with id="like". This sets up the template to capture likes and to display likes for the category. Create a view called, like_category which will examine the request and pick out the category_id and then increment the number of likes for that category. Instead of returning a HTML page have this view will return the new total number of likes for that category. Now in “rango-ajax.js” add the JQuery code to perform the AJAX GET request. If the request is successful, then update the #like_count element, and hide the like button. Create a view called, like_category in rango/views.py which will examine the request and pick out the category_id and then increment the number of likes for that category. On examining the code, you will see that we are only allowing authenticated users to denote that they like a category. The view assumes that a variable category_id has been passed through via a GET so that the we can identify the category to update. In this view, we could also track and record that a particular user has “liked” this category if we wanted - but we are keeping it simple to focus on the AJAX mechanics. There is a lot going on here and getting the mechanics right when constructing pages with AJAX can be a bit tricky. Essentially here, when the button is clicked an AJAX request is made, given our url mapping, this invokes the like_category view which updates the category and returns the new number of likes. When the AJAX request receives the response it updates parts of the page, i.e. the text and the button. The #likes button is hidden. It would be really neat if we could provide a fast way for users to find a category, rather than browsing through a long list. To do this we can create a suggestion component which lets users type in a letter or part of a word, and then the system responds by providing a list of suggested categories, that the user can then select from. As the user types a series of requests will be made to the server to fetch the suggested categories relevant to what the user has entered. Create a parameterised function called get_category_list(max_results=0, starts_with='') that returns all the categories starting with starts_with if max_results=0 otherwise it returns up to max_results categories. Create a view called suggest_category which will examine the request and pick out the category query string. Assume that a GET request is made and attempt to get the query attribute. If the query string is not empty, ask the Category model to get the top 8 categories that start with the query string. The list of category objects will then be combined into a piece of HTML via template. Instead of creating a template called suggestions.html re-use the cats.html as it will be displaying data of the same type (i.e. categories). In the base.html template modify the sidebar block so that a div with an id=”cats” encapsulates the categories being presented. The JQuery/AJAX will update this element. With these elements added into the templates, you can add in some JQuery to update the categories list as the user types. Associate an on keypress event handler to the input with id="suggestion"
If the call is successful, replace the content of the <div> with id=”cats” with the data received. In this helper function we use a filter to find all the categories that start with the string supplied. The filter we use will be istartwith, this will make sure that it doesn’t matter whether we use upper-case or lower-case letters. If it on the other hand was important to take into account whether letters was upper-case or not you would use startswith instead. Note here we are re-using the rango/cats.html template :-). Here we have added in an input box with id="suggestion" and div with id="cats" in which we will display the response. We don’t need to add a button as we will be adding an event handler on keyup to the input box which will send the suggestion request. Here, we attached an event handler to the HTML input element with id="suggestion" to trigger when a keyup event occurs. When it does the contents of the input box is obtained and placed into the query variable. Then a AJAX GET request is made calling /rango/category_suggest/ with the query as the parameter. On success, the HTML element with id=”cats” i.e. the div, is updated with the category list html. To let registered users quickly and easily add a Page to the Category put an “Add” button next to each search result. Add a mini-button next to each search result (if the user is authenticated), garnish the button with the title and url data, so that the JQuery can pick it out. Put a <div> with id="page" around the pages in the category so that it can be updated when pages are added. Remove that link to add button, if you like. Add an event handler to the button using JQuery - when added hide the button. The response could also update the pages listed on the category page, too. Note here we are assigned the event handler to all the buttons with class rango-add. # Adds our results list to the template context under name pages.